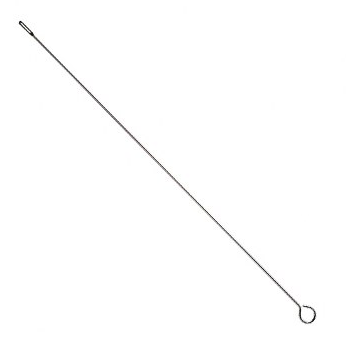 This is a steel rod for cleaning trombone slide tubes. This is used specifically to clean the tubes of the outside slide. A slot in one end of the rod lets the user attach some cleaning cloth to wrap around the rod.